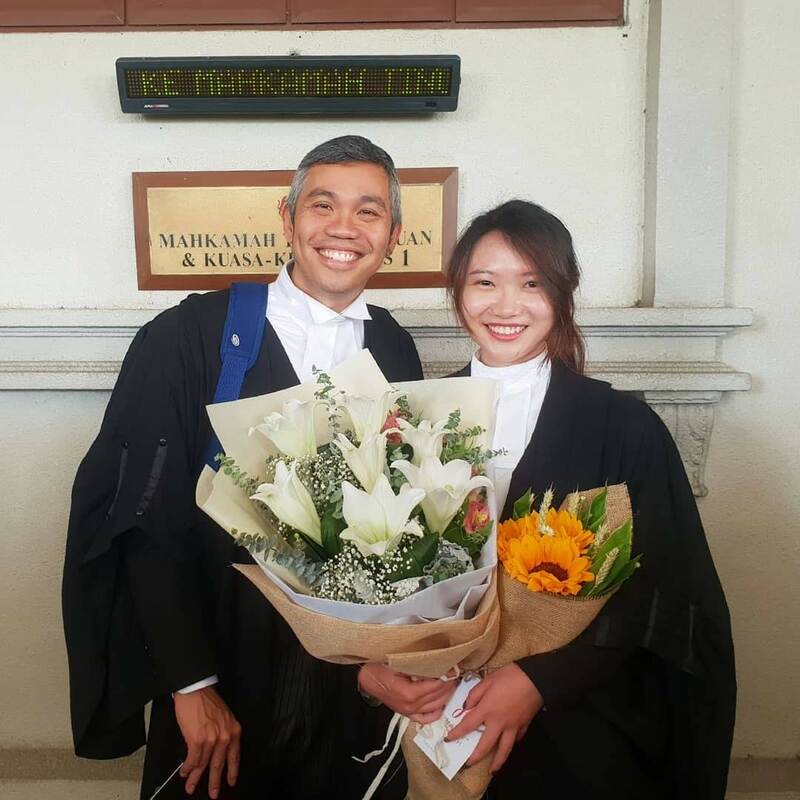 On the 14th of November 2018, Hoe Sue Lu was called to the Bar at the High Court of Kuala Lumpur before YA Dato’ Nordin bin Hassan. We, Team AmerBon, personally thank Fahri Azzat – the pensmith-Advocate – for moving Sue Lu’s call. Mr. Fahri Azzat (Amalina’s Mover) and Ms. Hoe Sue Lu. Ms. Hoe Shuang Lu (Petitioner’s younger sister), Madam Chow Mee Mooi (Petitioner’s mother), Hoe Sue Lu, Mdm. Hiu Lee Young (Petitioner’s Grandmother) and Mr. Hoe Kai Yong (Petitioner’s father). Mr. Hoe Kai Yong (Petitioner’s father), Madam Chow Mee Mooi (Petitioner’s mother), Hoe Sue Lu, Mdm. Hiu Lee Young (Petitioner’s Grandmother) and Ms. Hoe Shuang Lu (Petitioner’s younger sister). A reproduction of the speech delivered by Mr. Fahri Azzat can be referred to as attached below. Fahri Azzat for the Petitioner, Hoe Sue Lu. My distinguished learned friends for the Bar, the Kuala Lumpur Bar Committee and the Attorney General’s Chambers have already been introduced earlier. My Lord, my speech this morning will take about 6 minutes. There are 3 parts to my speech. The first is an introduction of the Petitioner and how she came to the law. The second is why she is a fit and proper person. And I will finish off my speech with thanks. Some of us hear the call of law early, some later. What is important is that they hear it. So, it was with the Petitioner. 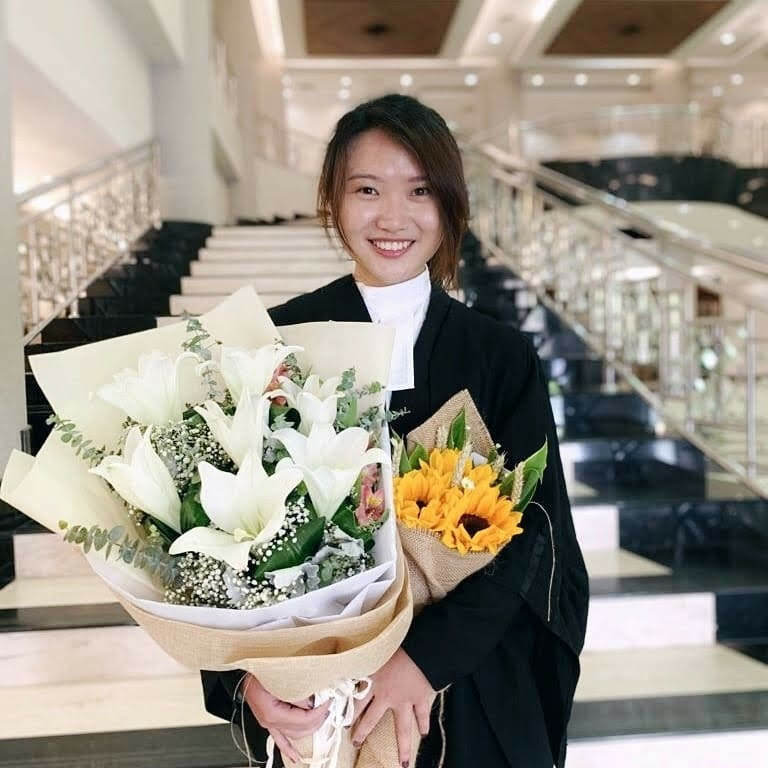 Her passion for law was stirred after she completed her Bachelor of Laws in June 2016 and Certificate of Legal Practice at Brickfields Asia college in August 2017. And that passion was sparked, as it commonly is, by injustice. “What really makes me want to be a lawyer is my 4 months internship with SUARAM where I was exposed to human rights violations such as unlawful detention and detention without trial under SOSMA and POCA. It was there that it really strikes me that there is so much injustice and unfairness where people are so powerless and vulnerable to authorities.” So were it not for her experience with injustice, she would not have come to the law filled with passion. The lesson here is this – if we have more justice manifest in this world, the less lawyers there will be. The second part. There are 3 reasons why I submit the Petitioner is a fit and proper person to be called to the Bar, aside from her passion for justice and the law. The first is her adaptability. Even though the Petitioner had ideas of delving into intellectual property during her pupillage, she ended up at Messrs AmerBon, under the tutelage of Encik Amer Hamzah, and as one would expect under the great criminal lawyer, she did a whole lot of criminal law instead, and has cultivated a great passion for it too. When she spoke about the case she was most deeply involved in, the murder of naval officer Zulfarhan Osman Zulkarnain, that died due to torture by his fellow cadet officers, it was as if she was telling me about her loved one. She had her share of civil cases during pupillage as well – claims for breach of trust and preparing opinions about inter-faith marriages. I think it is her languages that show the range of her adaptability. She was educated in Mandarin; speaks English and Cantonese to her mother, Hakka to her father and is adept at Bahasa Malaysia as well. The second is her resolution. Even though the Petitioner chose the law out of convenience, she resolved to know it and understand it better. Before she started her law degree she worked as an assistant secretary with a law firm for 3 months between June – August 2013 for the specific purpose of understanding the legal industry prior to the law degree. 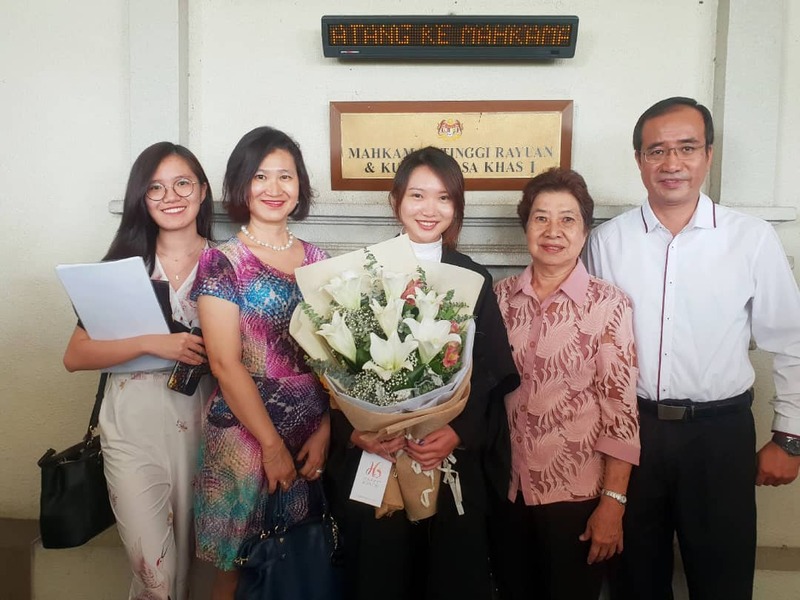 She did a 2-month internship at another law firm after completing her Bachelor of Laws and then her 4-month stint at SUARAM after completing her CLP. Her reason for joining SUARAM instead of a law firm for her last internship was because she wanted something related but not directly in the law before she started her pupillage. This I submit is a mark of maturity, resolve and dedication – to commit to her decision after she has decided upon it. When I compare the Petitioner’s development with my own, I confess I fall far short. The only thing I recall trying to find out prior to my pupillage was where the bar was, and it wasn’t the Bar Council I was looking for. The third and final reason is her orientation towards the law. The Petitioner has I believe the right starting point for her ideas about the law and what our role as lawyers are in society. She writes, I believe that the law as a social contract should benefit the people. Fundamentally, the rule of law is to provide peace and order in society. Simultaneously, it should also protect the fundamental human rights. For example, to have order in society, there are a list of offences and punishments respectively, but at the same time the accused is given the right to trial. The law is there to provide guidance and mechanism to maintain societal order.’ If that is the Petitioner’s starting point for law, then she can only deepen and improve that view of the law in the time to come. The phrase the Petitioner resonates with is per aspera as astra. This means through hardship you will reach the stars. I have no doubt that the Petitioner will be on her way to the stars in the years to come especially when she has 2 of the Bar’s leading lights in her firmament in her Master, Encik Amer Hamzah, and the Mr Edmund Bon. I have no doubt they will inflict much hardship on the Petitioner too. The Petitioner has been retained and will continue under their tutelage and I would like to take this opportunity to congratulate her. The third part. 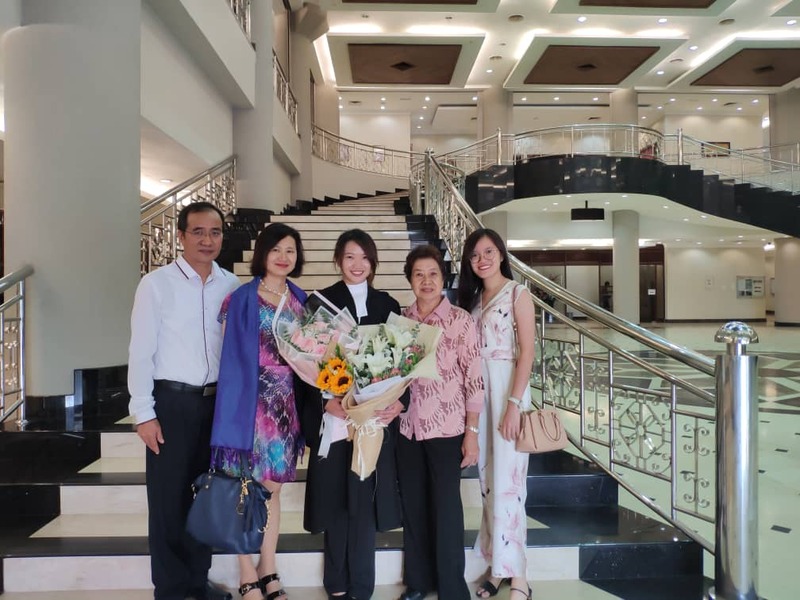 The Petitioner would like to thank her father, Mr Hoe Kai Yong, and mother Madam Chow Mee Mooi, as well as her younger brother, Hoe Yik Ming and younger sister, Hoe Shuang Lu, for their unwavering support, love, and trust. The Petitioner would also like to thank all those in Messrs AmerBon Advocates who have helped, taught and were an inspiration to her. I submit the cause papers are in order and my learned friends do not have any objection to the petition. I pray that the Petitioner, Hoe Sue Lu be admitted and enrolled as an advocate and solicitor in the High Court of Malaya.